Off-road vehicles such as bulldozers, excavators, and cranes are especially vulnerable to wear and misalignment. 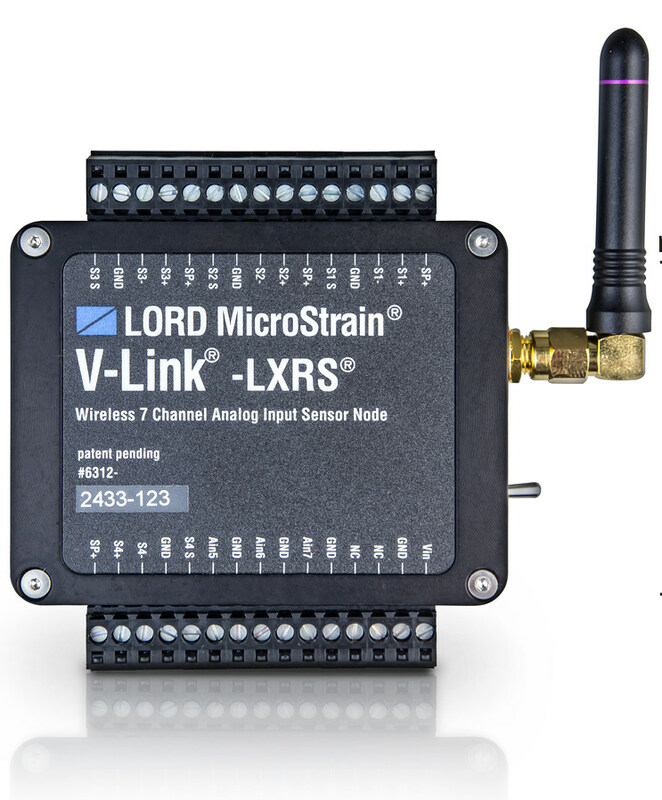 LORD MicroStrain® Sensing Systems provides embedded wireless solutions for monitoring track wear, structural loads, and more. Off-highway ground vehicles are exposed to harsh and variable operating conditions. Understanding the exposure of individual vehicles is critical for maximizing up-time and optimizing maintenance practices. 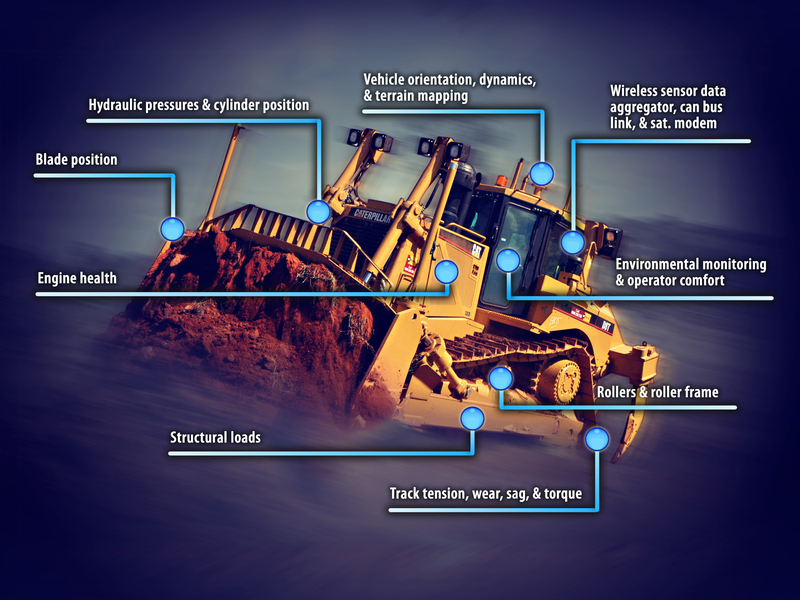 Tracked ground vehicles such as bulldozers, excavators and cranes are especially vulnerable to wear and misalignment. 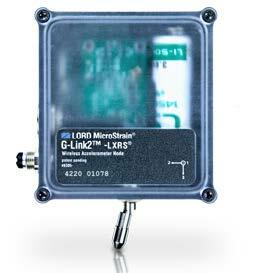 LORD MicroStrain® Sensing Systems provides embedded wireless solutions for monitoring health and usage including: track tension, wear, sag, & torque; structural loads; weld fatigue; engine health; hydraulic pressure & cylinder position; vehicle orientation, dynamics, & terrain mapping; and environmental monitoring. Our wireless sensor network is easily installed, lasts for years without battery replacement, and provides reliable health information on distributed components with LXRS® Lossless communication. Combined with SensorCloud™ web-monitoring, LORD MicroStrain provides an end-to-end sensing solution that delivers actionable alerts. Embedded analytics and customizable alerts allow users to define their key thresholds and receive automated messages about the health of the vehicle and its components. As a result, operators can schedule maintenance and anticipate part replacement before failures occur for optimized fleet costs.